← Volunteers Needed for Tuesday, May 15th. The usual clean up crew showed up to prep the courts for the Thursday Morning Four-Play challenge. Twenty-Six (26) shufflers showed up for the friendly competition. 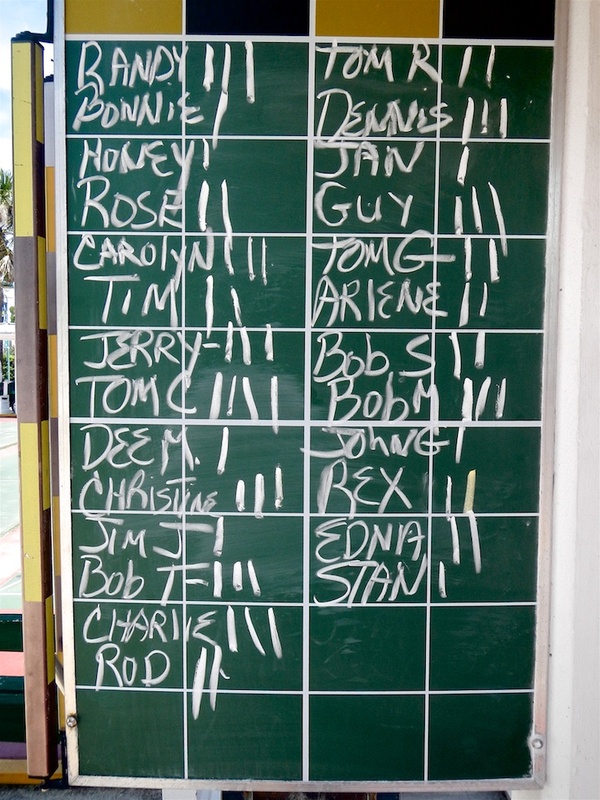 We each played four games, then recorded the winners at the end of each match. 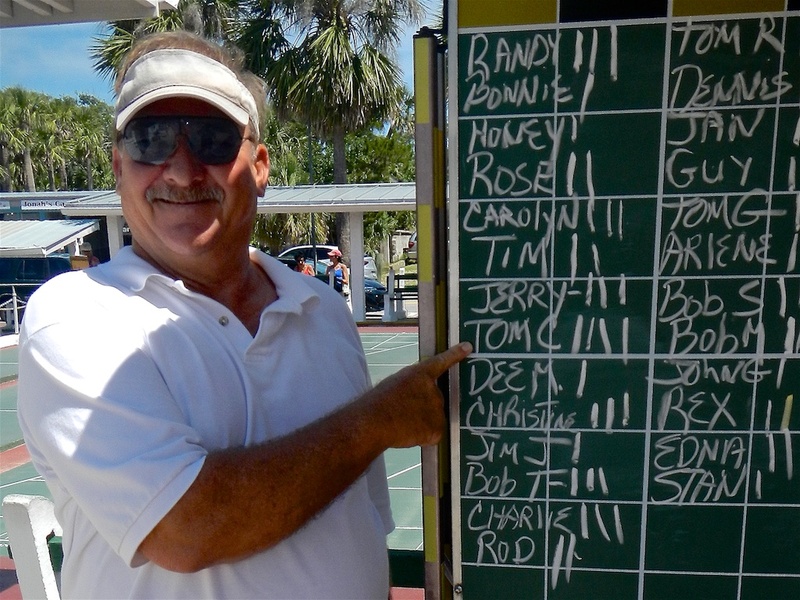 At the end of play, Tom Carbonell became the only shuffler to win all four matches. Congratulations Tom! Hope to see you all back again next week for some more friendly shuffling competition. Ciao!